has been teaching Pilates for 25 years. She had the supreme good fortune as a young dancer with scoliosis to study with one of Joe Pilates's protégés, and acclaimed master Pilates teacher Kathy Grant in New York City. In Los Angeles Cheryl continued her studies with well-known Pilates teacher, Jillian Hessel and subsequently became Jillian’s first hired teacher at her studio, The Well-Tempered Workout, and taught there for 7 years. She then opened her own Pilates business called, The Fun No-Nonsense Workout, in two locations; one in Studio City and one in West Hollywood, CA. Where she employed several Pilates instructors as the popularity of her studios grew. She scaled down her business after the birth of her daughter in 1998 and now teaches at Pilates By The Park, a studio in West Hollywood, as well as in clients’ homes. Cheryl has taught Pilates in the Dance Department of CalArts in Valencia, CA, and continues to teach students at CalArts each July in the dance program for The California State Summer School of the Arts, (CSSSA). 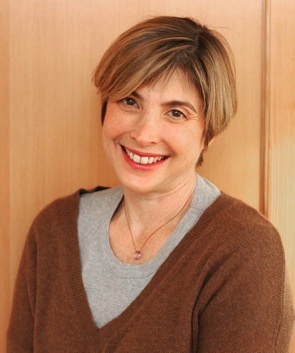 She is a member of the Pilates Method Alliance, and has been a featured writer for their magazine,“ The Hundred”. She has been a guest teacher at various workshops including the L.A. Pilates Intensive, a Classical Pilates event, where she represented mat work of Kathy Grant and Carola Trier, and Deep Sea Diving in The Dessert, a weekend retreat she co-organized incorporating Pilates, writing, and cranio/sacral therapy. After all these years, what inspires Cheryl about teaching Pilates is helping her students find their center through utilizing breath and engaging deep core muscles, which not only improves posture, but also creates a greater sense of well being throughout the whole body, along with a deeper sense of connection to self.